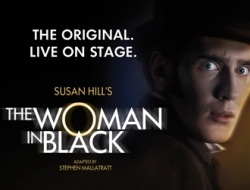 Stephen Mallatratt's critically-acclaimed and intense adaptation of the best-selling thriller by Susan Hill, reaches its 29th year in the West End in 2019. The story concerns a young solicitor who attends a client's funeral in a small town church. However, during a wander through the graveyard, he comes face to face with a ghostly figure (the 'woman in black') and promptly ends up regretting his investigative curiosity with the apparition. Add in plenty of suspense and tricks of the imagination and you have a winning formula for a great play, as well as a great bit of escapism from the chilly weather and crowds outside!